Kaya Fest 2018 had the magic. 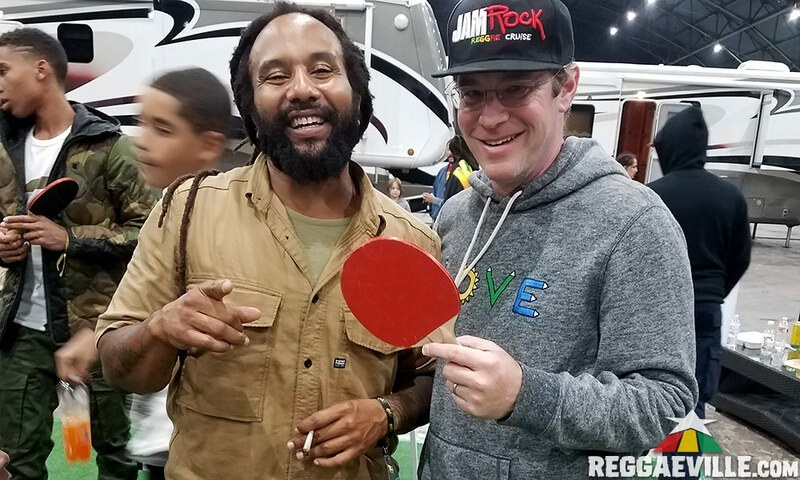 Magic like when Rita Marley looks you straight in the eye and smiles even though she’s speeding past in a golf cart; Like when friendly strangers all weekend walk right up and introduce themselves; Magic like when a musician friend grabs your hand and takes you backstage and you end up playing ping pong with Ky-Mani Marley and some of the Marley grandkids. For a veteran festival goer like me, magical experiences like this really stand out and reminded me of last years Cali Roots, when after a full day 3, Sara P. drove us up from Monterey to Santa Cruz to see Alborosie and Yellowman at The Catalyst for the second time of the weekend and after a long day at Cali Roots. 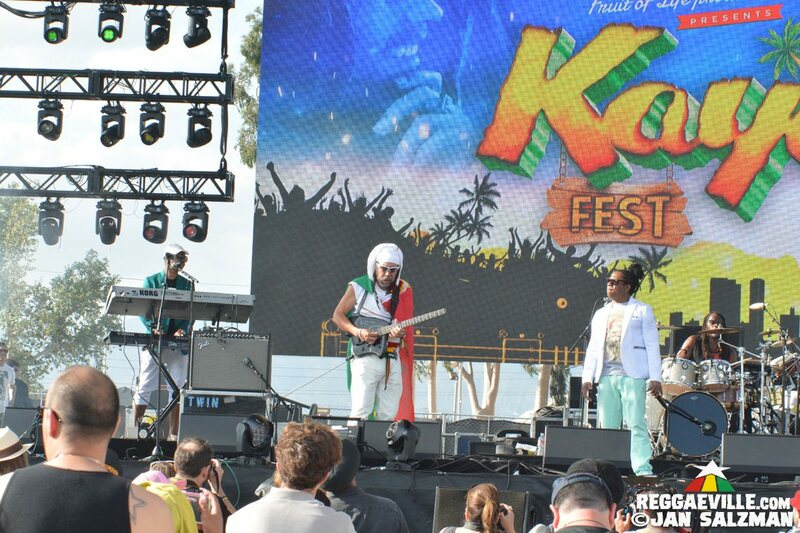 This year, for its inaugural West Coast debut, Kaya Fest managed to bring the music, the fans and the “Marley Magic” all together resulting in a truly memorable and special weekend. 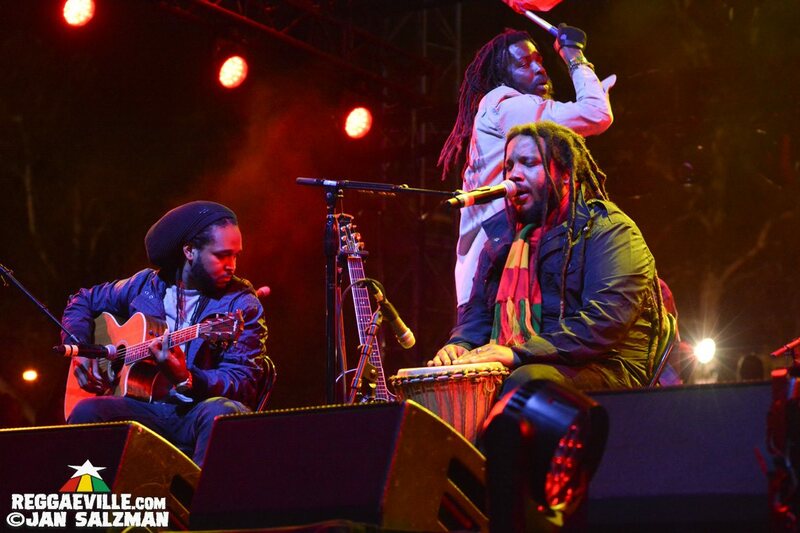 Kaya Fest is the brainchild of Stephen Marley’s Fruit of Life Productions and is billed as a Music and Awareness festival, whose stated goal is to educate, inspire and encourage positive public awareness of the vast medical and industrial potential of cannabis. And true to form on Friday before the weekend music piece of the festival, a free “Education Before Recreation” Symposium was held discussing the many uses and benefits of the cannabis plant as well as the new California laws and regulations featuring many expert speakers in the field. Also on site at the music festival over the weekend, there was a Kaya HQ with interactional and informative displays. I had the pleasure of speaking with one of the founders from Grown By Vets, a sustainable farm run by Veterans established in 2014 by Veteran US Navy Divers Rolf Johnson and Warren Ross that grows organic food and cannabis and is doing fantastic work. I educated before I recreated! After a nice riff on a few Eek A Mouse and then Gregory Isaacs tracks, Marcia found a groove with Rita Marley’s One Draw after declaring “Sista Rita! Much love and respect! 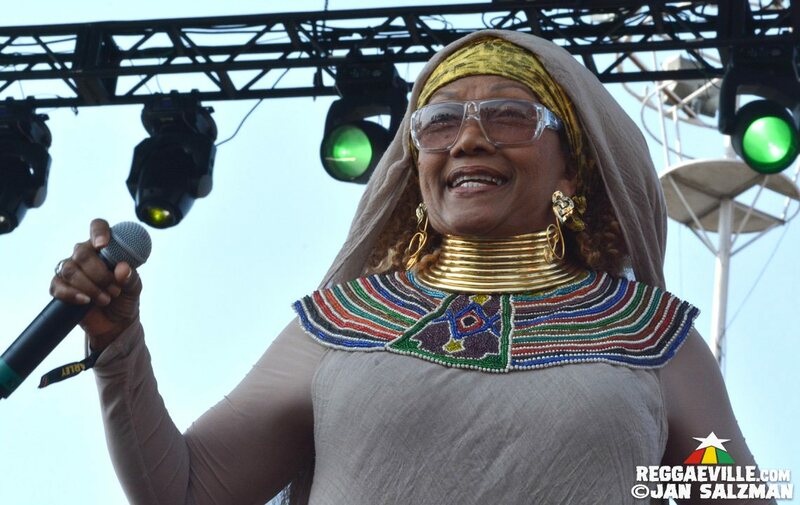 I want you to know Sista Rita is right here with us!” With her amazing stage presence, Marcia didn’t miss a beat as she powered through her crowd pleasers All My Life, Bob’s Buffalo Soldier and of course her signature Electric Boogie. The band name is a nod to the fact that they are proud representatives of their home lands of Samoa, Fiji, Tonga and Hawaii. 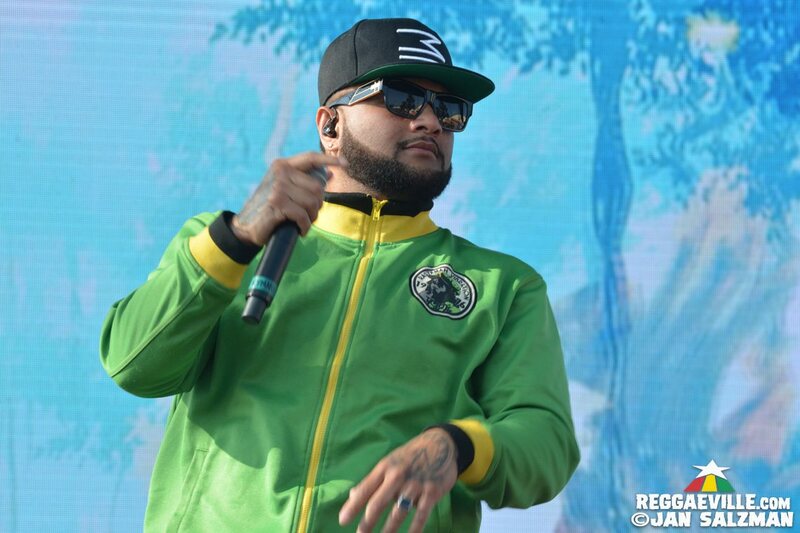 Repping Orange County, the Common Kings produce a mix of pop/island music and R&B vocals from the South Pacific to the global stage and today they proved worthy of their 2018 Grammy nomination for Lost in Paradise. This is a band that, despite their success, Grammy nomination and all, they are super humble and crazy passionate about the music and about their fans, always taking time to greet and take pics with them. Lead singers Sasualei “Jr. King” Maligas unique, wide ranging and distinctive voice was especially impressive on 24/7, Wade in Your Water and Lost in Paradise. Inner Circle was formed in Kingston, Jamaica, in 1968, by brothers Ian and Roger Lewis as well as a 12-year-old Stephen "Cat" Coore (Third World). Theirs was the most legit drum and bass line of the day so far as we were treated to an extended version of Sweet Jamaica. “We party from Monday to Sunday! Put your hands to the mix! When we move you move, when you move we move!” The crowd obeyed and the band and the massive grooved back and forth in a transference of energy. Next up a killer version of Jacob Miller’s Tenement Yard including dub version. I loved that these guys did more extended versions as opposed to trying to shove more tracks into a shorter set. 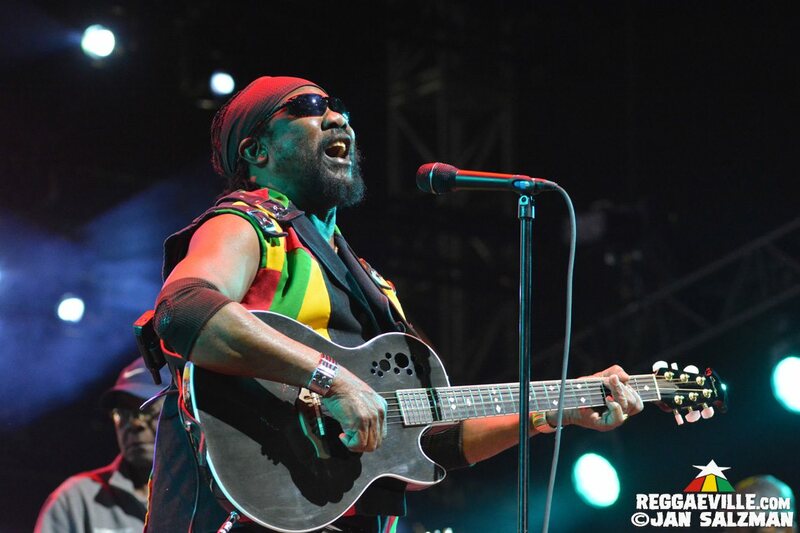 Toots was a great choice to warm up the crowd immediately before the Marley Brothers as he and his band put on a clinic of classics. 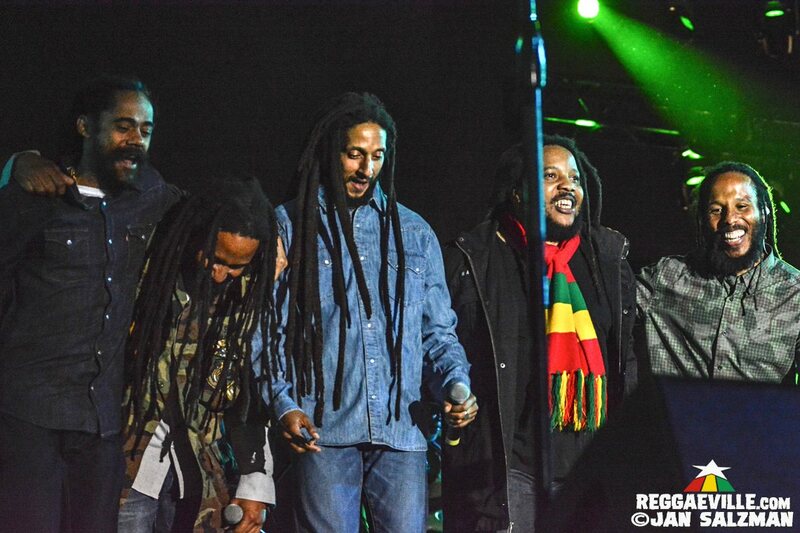 The Marley Brothers' highly anticipated entrance on stage in one word was; Magical. The energy and spirit that they each embody from their late, great father Bob was evident the moment they united for this momentous performance. They each have enough music to entertain for hours non-stop, but the two hours that they all performed together was as good as it gets for both tributes and original material. Stephen, Damian, Ziggy, Ky-Mani and Julian passed the mic around so naturally, and with so much clear joy in the moment, it felt like they were just hangin’ out, singing their fathers songs, it just happened to be in front of tens of thousands of people. Not surprisingly we were mostly treated to Bob Marley songs, my favorite of which was So Much Trouble In The World where the brothers seamlessly alternated lines until Damian took to the mic and brought his original dancehall style and fresh lyrics, then a culminating group finale as all of the brothers stepped forward for the last line in unison. What I loved was the old and the new combining, a respect for the past and a look to the future. The visuals created by Nesta Garrick were original and relevant, for this song, representing a full screen of about 15 TVs each displaying a current or past media, political or news event. Ky-Mani, with his distinctive voice, took the lead on Heathen and Rebel Music. Next up was Get Up, Stand Up, Exodus and Could You Be Loved. 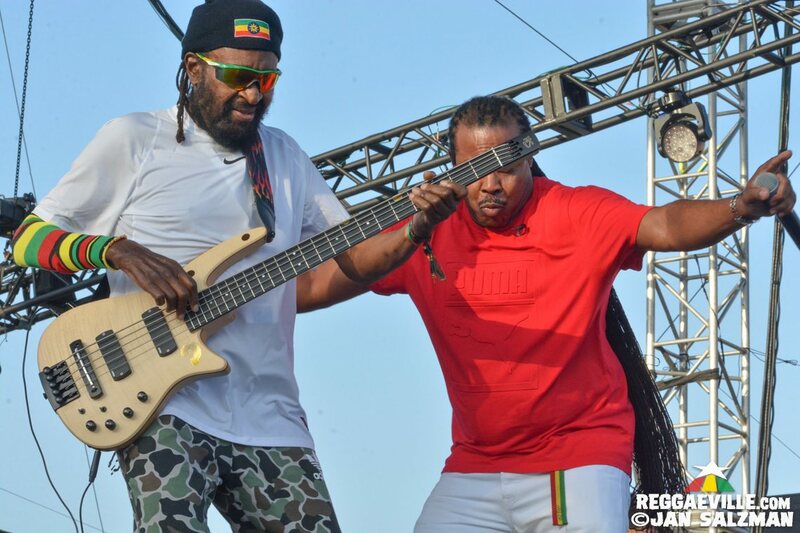 The other brothers got in on the action with some original tunes, Ky-Mani doing Love All Over in his very distinctive voice, Julian doing his hit Boom Draw and Ziggy doing the title track of his forthcoming album Rebellion Rises out May 18th. 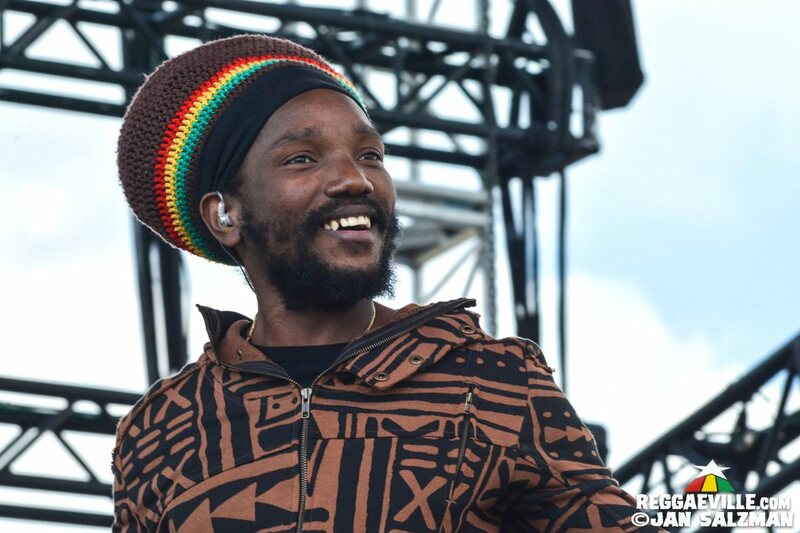 Rising star outta Kingston, Jamaica, Kabaka started his set singing backstage, built anticipation and then stormed the stage at the “high-point” of the song. He then performed tracks off of his upcoming album Kontraband and mixed in a hip-hop battle with 2 different styles & alter-egos. Great energy and emotion. By the end of the set, and after the hit Can’t Breathe, he & the audience were out of breath! Definitely an artist to watch as his Chronology album received a Grammy Award nomination for 2018, the same year Chronixx received a Prime Minister's National Youth Award for Excellence. 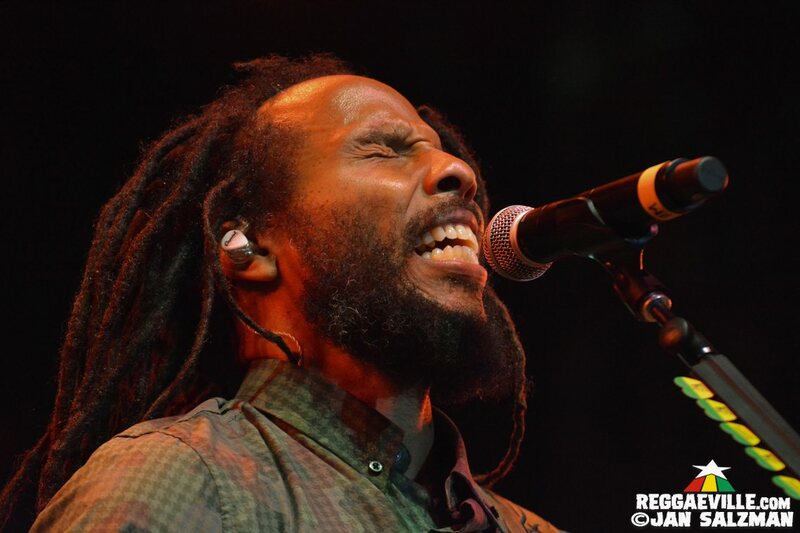 Chronixx not only excels on vocals, but really brings the crowd into a show with his emotional song Black is Beautiful and the energy packed, Who Knows. 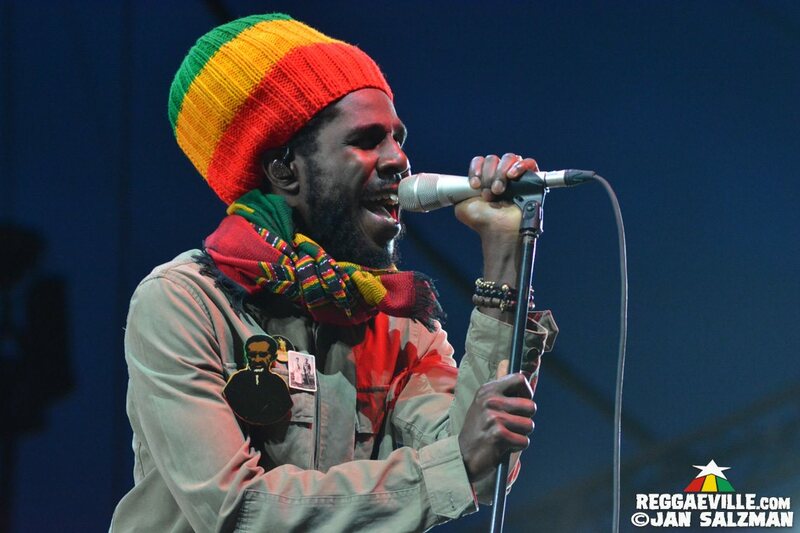 Chronixx is certainly having his moment in time. If he can keep up with the solid releases and collaborations and the relentless touring, the sky is the limit. Anticipation was thick as Stephen took to the stage for this acoustical Kaya tribute set. About seven other acoustical musicians backed Stephen as he sat with a bongo drum smiling ear to ear, often with his eyes closed and head craned back in delight. He started out slow and steady, with a serious version of Time Will Tell, as he repeated over and over “Children weep no more, oh children weep no more…” In addition to more tracks off of Kaya including She’s Gone as well as a beautiful rendition of Real Situation from Bob’s Uprising album featuring some great interaction between the flutist and Stephen on the bongo drums, Stephen then called out his brothers one by one. Julian took control of Running Away and Damian and Stephen, for the second time of the weekend, tore through Medication. Cyrpress Hill stage hands passing out pre-rolled joints to 40-50 fans up front right before CH started their set got the entire pit smoked up right when Mixmaster Mike started to warm up the crowd. Lead vocals, B-Real delivered his unique & recognizable flow along with his co-lyricist Sen Dogg who delivered his bi-lingual rap Latin Lingo. The crowd was moving the most to Hand on the Pump and the chart-topping Insane in the Brain. Taking the place of Cypress Hill’s regular DJ Muggs, Mix Master Mike, best known for his work with the Beastie Boys, killed the 1-2’s throughout the set. FULL KAYA 2018 PHOTO REPORT HERE!